Here we go. 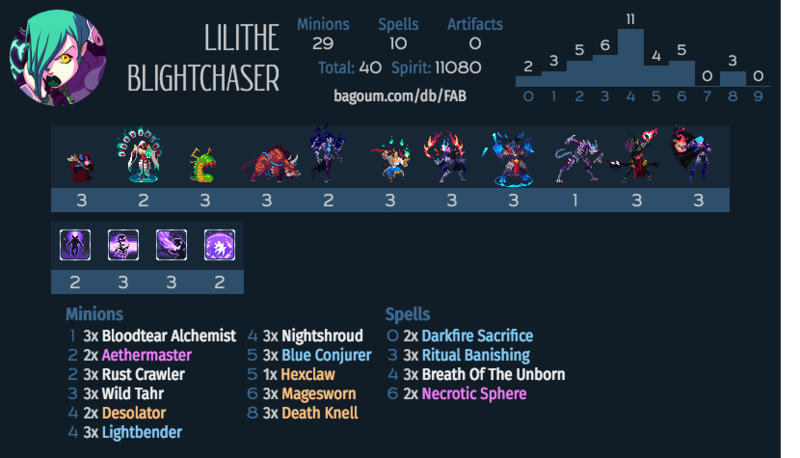 An Arcanyst deck which doesn’t actually want to play lots of spells. And (heresy!) we don’t play Owlbeast here (though we could). As one may see, every card here is intended to break opponent’s gameplan. Magesworn is a pain for any spellheavy deck, and also for any deck that depends on its BBS (hi, Faie, hi, Ragnora). Couple of pings (BTA, Deso) and straightforward artifact counter (Dust Crawler) make artifact wielders cry. AoE in form of Tahr, Breath, Necrotic and, in some sense, Lightbender makes life hard for swarm players. Hard removal is a bit lacking – but we have strong bodies of our own – namely Blue Conjurer and Magesworn – to stay on par with most midrange decks. Just don’t forget to play NightShroud at some point to resummon it with DeathKnell in the endgame – you’ll need that healing. And actually this is the rare deck which can utilise the healing aspect of Breath to its fullest. You’ll enjoy it if you enjoy control heavy decks. Just give it a try!